Hi boos! To say I’m excited about October is and understatement… it is my most favorite month of the year! 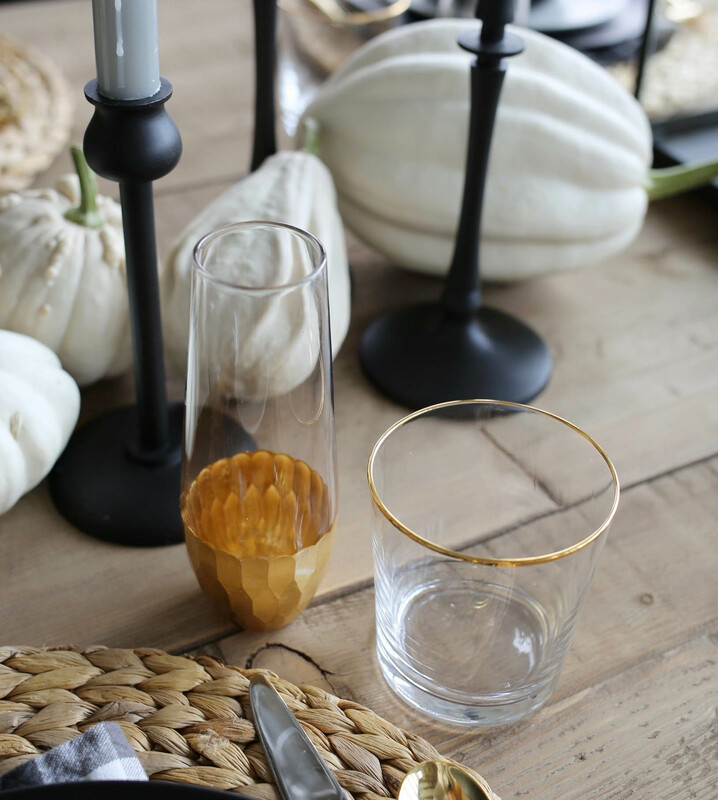 Fall weather, leaves changing, pumpkins, new festive decor and of course, Halloween! Like my clothes, I change things up in my home each season. 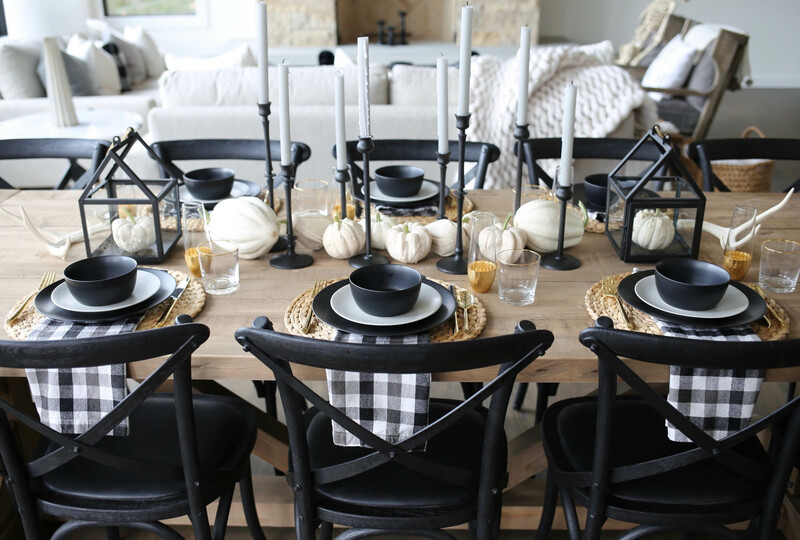 On today’s post, I’m sharing a modern farmhouse fall tablescape. I’d call it rustic-chic! 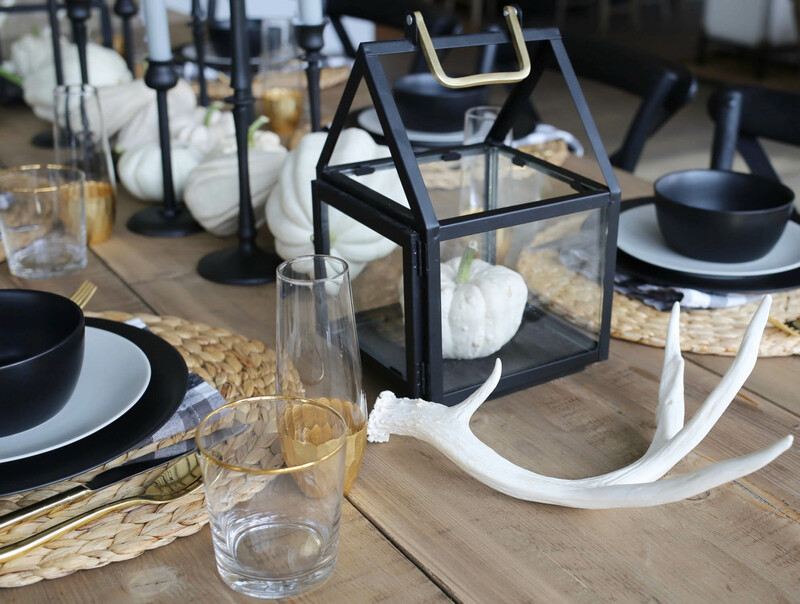 Mixing simple clean dinnerware, gold flatware and metallic glasses with farmhouse touches of country plaid napkins, wicker chargers, black lanterns, pumpkins and antlers. I don’t know about y’all, but I’m OBSESSED with this look. Oh, and the best news of all, these items are great DEALS! If you’ve been following me on my Instagram stories I shared a few of these budg-friendly items last week. 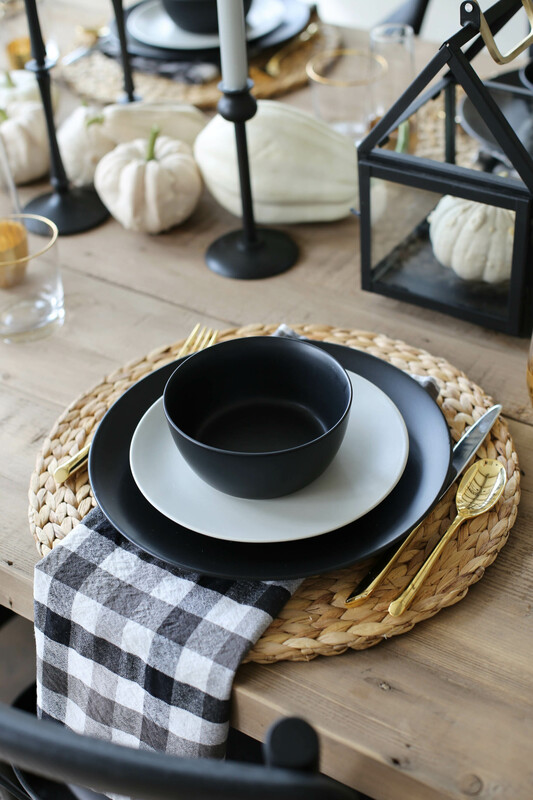 The dinner plates, salad plates and bowls are all from H&M Home. 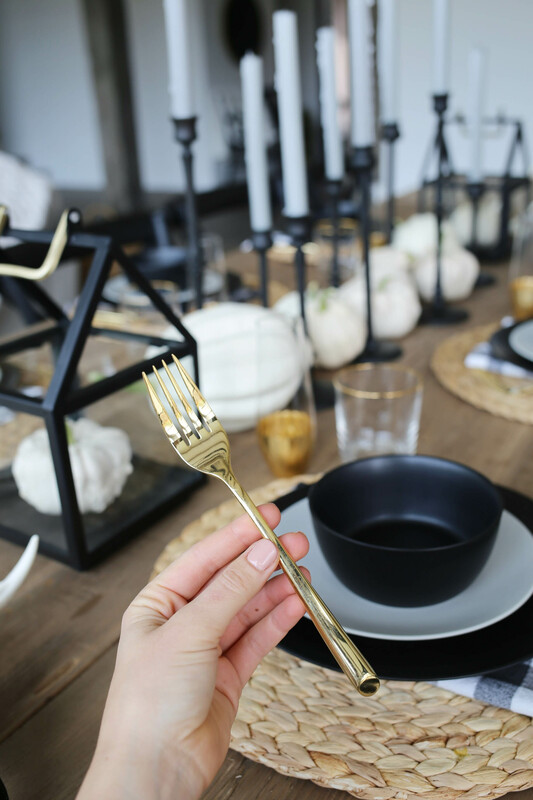 If you haven’t discovered that they have a HOME section, get excited ’cause it’s everything!! H&M has well designed decor for way LESS!! 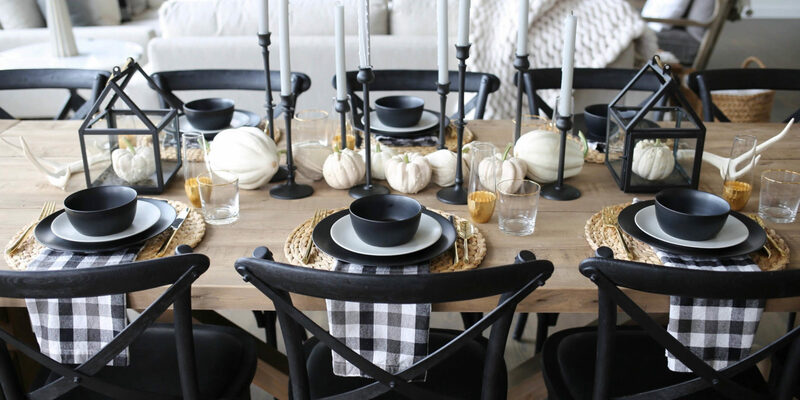 When it comes to styling a table and specifically and centerpiece, there are no rules. Have fun with it! 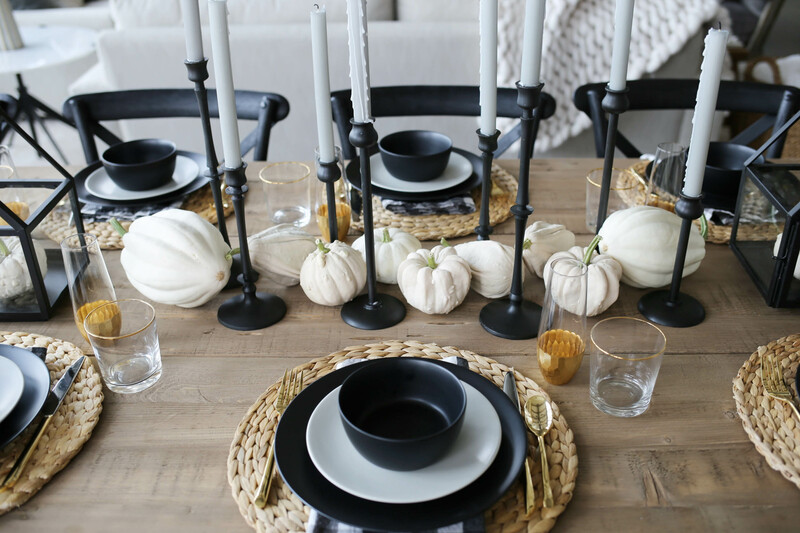 I happen to come across these gorg white pumpkins and squashes this weekend and decided to add them to my table for a fun fall touch. 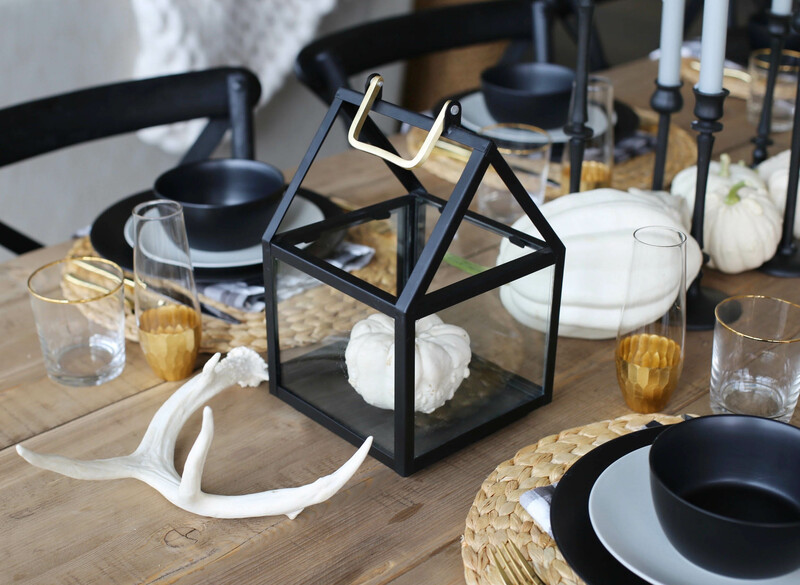 Whatever the theme of your home, make sure to decorate accordingly – i.e. I’m not a fan of bright colors in my home and don’t particularly care for orange, so you will not see it in my fall and Halloween decor. If y’all love Halloween as much as me, stay tuned!! 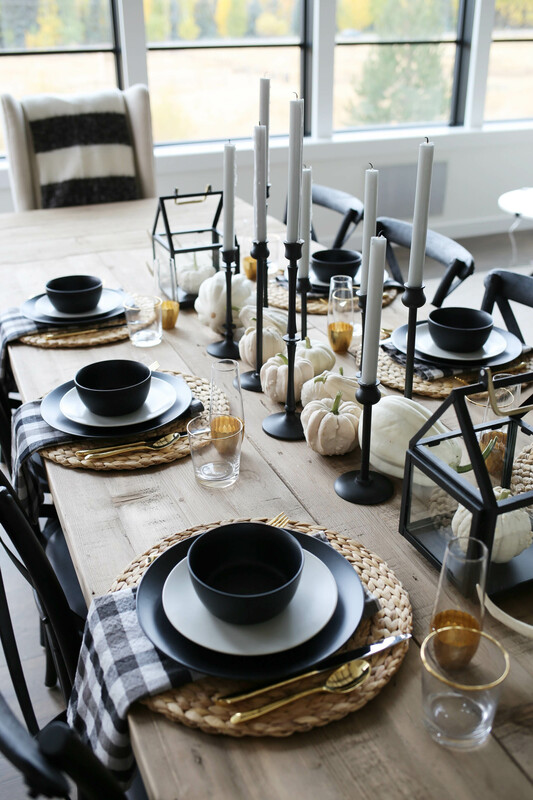 Next week on the blog is everything All Hallow’s Eve – decor, entertaining and costume ideas! 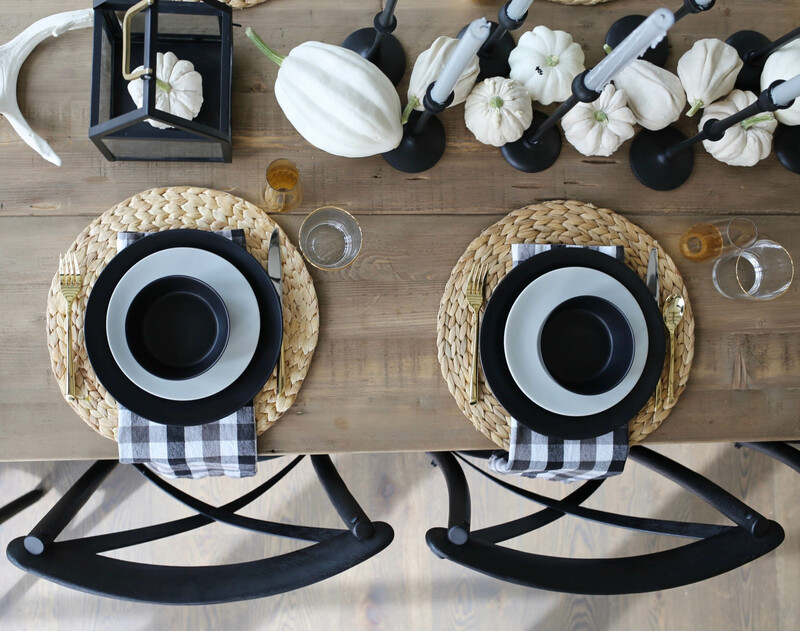 Shop this tablescape below and as always, leave any questions in the comment section. 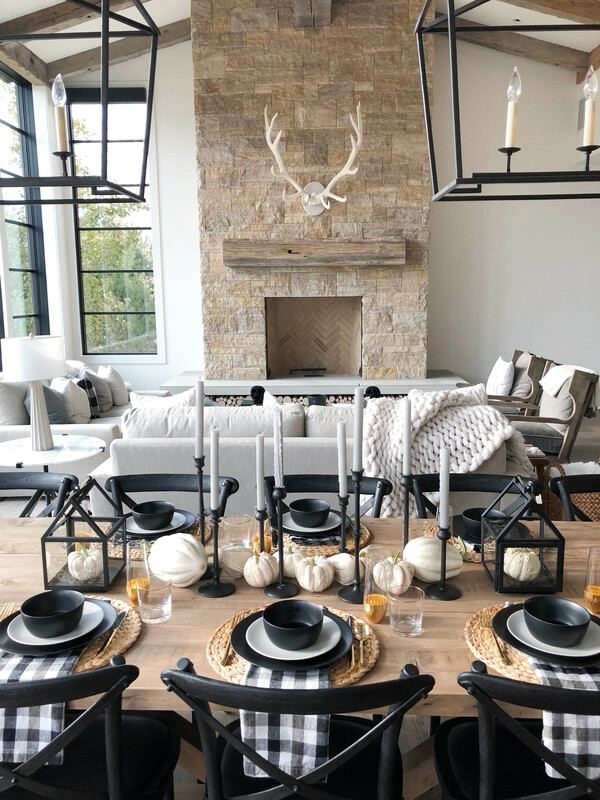 Share the post "Modern Farmhouse Fall Tablescape"
This is beautiful! Where did you get all of your dining chairs from? (Including ones at heads of table).